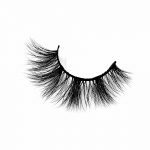 If you ask me what is key of makeup, then I will tell you without hesitation – wear Mink Lashes although it may seem small and inconspicuous, yet in fact make your overall makeup become more eye-catching and handsome! You must know this truth after trying it. In the second half of the bottom eyelid, brush is gently with a small brush to wear Mink Lashes which give eyelashes an unprecedented three-dimensional impression. Another eye shadow with champagne color make the eye more profound. LADY GAGA melancholy eyes are full of literary sense of makeup. Her interpretation is just right, as if watching the 80’s old movie in general. Makeup Secret: Use a small brush with gold eye shadow gently to brush the wearing Mink Lashes, be careful not to brush all, from the middle to the back of the position can be. Then dipped in brown eye shadow which deepen your tail of eye’s position. 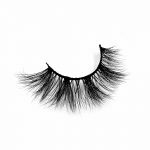 Everyone’s understanding of cool handsome woman, already no longer stay in smoky makeup, but wear Mink Lashes people. 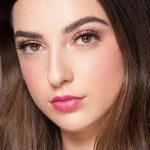 What is minimalist style makeup? Is the least makeup, showing the most intense attitude. Such as LADY GAGA white lashes makeup, eye shadow part of the zero, simply rely on pearl white lashes and eyeliner to show the cold Feel, simple but can show a high cold attitude. Makeup Secret: Use a small brush to dip in white pearl eye shadow, and then gently brush the wearing Mink Lashes. Be careful not to dip too much, if you are afraid of the color of the heavy unnatural, then before shaking gently shake the brush to get rid of excess eye shadow. 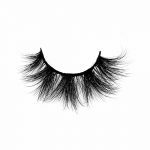 Orange mink lashes can give people a very delicate feeling, just like the general just crying people who feels bad. Through orange lipstick, fill the soft cute as LADY GAGA lovely. 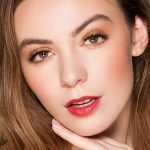 Makeup Secret: Use a small brush to dip in orange eye shadow, close to the lower eyelid position before and after the brush, pay attention to sweep the area to be narrow, not too wide, otherwise it does not seem natural. Wine lashes make the overall eye makeup looks exquisite, but also to bring the skin more white and delicate. With pink lip makeup and clothes, elegant atmosphere arises spontaneously. Makeup Secret: Use a small brush to dip in pink eye shadow, after the previous sweeping, pay attention to the location of the eyes narrow, gradually be backwards, pay attention to excessive nature. 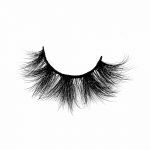 I am look for Eyelash Vendors . 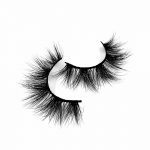 I would like more info in the 3d mink lashes as well as the 3d faux mink lashes. I would like to know if they are vegan and cruelty free lashes. 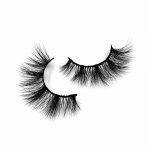 I would like to choose at least 8 styles of lashes and 200-220 pairs. How much would that be? I would also like to customize my own eyelash packaging. I have my ideas if you need me to send them. If you can please get back to me at your earliest convenience I would appreciate it. Thank you. 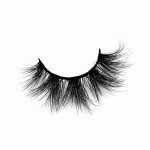 What is the The advantages of false mink eyelashes ? 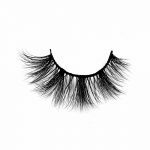 How to make mink eyelashes curl ?